Simmer your spending, deglaze some debt, noodle your net worth every now and then, and last but not least, toss out toxic ingredients. Acting on dozens of healthy financial recipes could mean your portfolio could be a whopping $2 million bucks! Seems crazy when you think about it. How 60 easy financial recipes could yield a family a 7-figure portfolio after 20 years of diligent savings and proper investing – but that’s the truth. 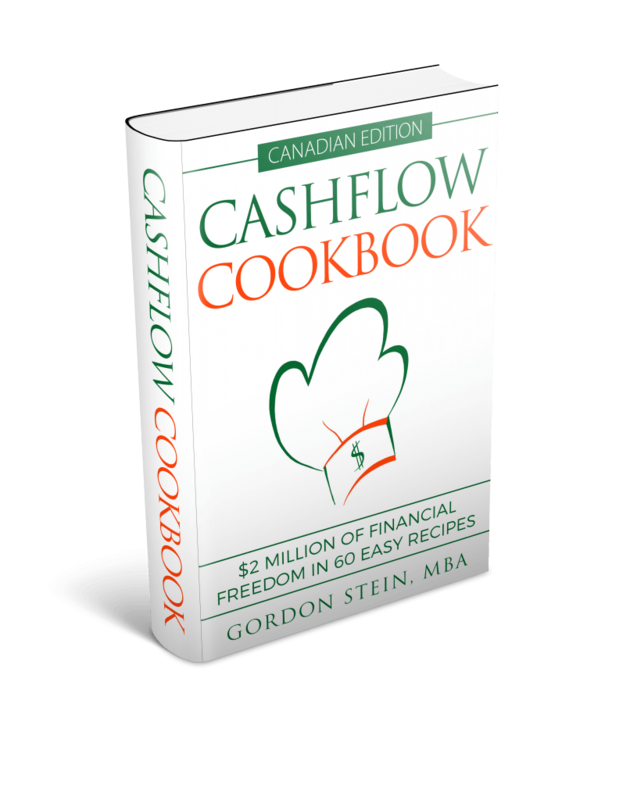 That’s the premise behind Cashflow Cookbook, a unique personal finance book written by Gordon Stein – who uses ingredients, cooking, and recipes as metaphors to show you how you might be able to amass a small financial fortune. 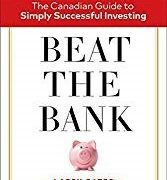 I previously published a review of Cashflow Cookbook here but for today’s post, I thought I would take Gord’s financial healthy eating makeover myself and see how well I stack up against some of his wealth-building suggestions. We already bundle our home and car insurance for additional savings. We use a home alarm system now but we will drop that expense in the coming year when we move into the condominium. Projected savings ~ $400 per year. “Grab a snow shovel” – I wish! Our driveway is too large for heavy snowfall efforts so like all our neighbours we pay for snow removal services each winter. We won’t have that expense in our condo next year. Projected annual savings $400 per year. We already use a programmable thermostat and our home is largely energy-efficient with high efficiency appliances throughout. Our lights are all LEDs. Not much more work we can do here. “Manage the mortgage” – we’re doing our best on this. We make bi-weekly accelerated payments and we used a mortgage broker to help us negotiate a great rate on our current mortgage. We no longer own mortgage life insurance – and neither should you! A bad product for you but a great product for the lender! Focus on these forms of insurance instead for the best coverage for the best price. “Fix it yourself” – as much as I can and I’m able, I do it. Storage locker? No way for us. That means you have too much crap stuff. We carpool where we can and don’t need to use any navigation app to do so – to cut commuter time or costs. We work from home now and then, and will continue to do so over time. Some more savings over time. We (luckily) don’t pay for parking at work as part of our commuter costs. We might pay for parking a handful of times per year. Zilch for savings really. We have already long since signed-up for a couple of gas retailer loyalty programs and we often use some of our cash-back money earned from our credit cards to buy a handful of car washes every year. “Drive gently” – we follow (mostly) eco-driving techniques already. Given where we live, just outside the city of Ottawa, we cannot always walk to amenities so a car must do. I suspect when we downsize to one car in the city, associated with our condo move in 2019, we’ll save ~ $300 per month by getting rid of our second vehicle. Bottom line? 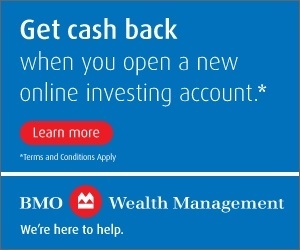 Assuming we bank the bulk of our $300 per month auto savings into our TFSAs over the next 20 years, averaging 7% rate of return, we’ll have an additional (and surprisingly!!) $153,000 more to our portfolio. Wild eh? “Stop paying for water” – done. Although we buy the odd bottle of water when out at festivals, sporting events, etc. it’s far from a daily occurrence. Savings potential per year $100. “Go generic” – we do that, on occasion. If we avoiding brand names I’m sure we could save a few hundred bucks per year but then again, good food and good tastes are important to us. Consider frozen fruits and vegetables – rarely. We prefer fresh produce as much as possible. Potential savings ~ $500 or so per year if we avoided that (but we don’t really want to). “Eat less meat” – sure, potentially, but we enjoy a nice salmon on the BBQ every now and then. We’re not about to give that up. “Love the sale bin” – we have purchased food from it from time to time but we’re far from regulars. Potential savings to increase use of the sale bin ~ $500 per year. We don’t often buy coffee or tea when we’re out – so we’re good there. We pack of lunches often for work. We routinely make grocery lists and stick to them. Bottom line? We could probably save another $1,000 per year by making better grocery choices. Assuming we bank this amount, saving $1,000 per year on food and drink @ 7% rate of return over the next 20 years should deliver yet another $44,000 to our portfolio. We rarely take our clothes to the dry cleaner, not because we don’t wear clean clothes (!) but we don’t buy clothes that need this type of care. Get creative with the kid stuff – we don’t have kids. Cats are our kids. We avoid wasting money on clothes. We avoid buying what we don’t need or wear. We prefer quality over quantity. We often ask or look for things that can be shared, reduced or found for free. This classification of savings looks at what we enjoy (or avoid) accordingly. We stream online often for free although we do have an Amazon Prime membership that costs us < $100 per year. We take advantage of free sites for our reading. We do buy the odd book and ebook. Negligible savings. We already use Groupon and other discount codes when shopping. We take advantage of walking trails in our current neighbourhood and I ride my mountain bike twice per week for exercise. No need for a gym membership. Although we still have Rogers cable (I love my live sports on TV) we have negotiated for better rates. We use Netflix. Not that we’re travel discount pros (yet) but we do take advantage of our modern sharing economy when travelling; using our loyalty points for travelling; getting great deals on Airbnb for accommodations, and more. Potential savings? Arguably nil but we enjoy travelling so it’s hard to put a price on fun! I do our taxes and for the most part, I’d like to think I’m decent at them; maximizing tax savings opportunities. We own term life insurance to get the best coverage for the best price. We don’t pay any bank fees. We make bi-weekly accelerated mortgage payments (see above) and we make lump sum mortgage payments where we can to reduce our mortgage, faster. We avoid making lots of foreign exchange costs. 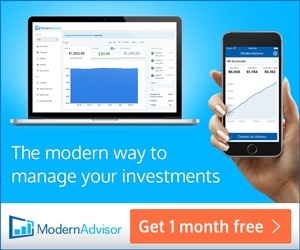 We have reduced our investment management costs to less than $500 per year. This includes all ETF fees, buying and selling costs. I figure that’s pretty good. What about you? We own some stellar cash back credit cards. 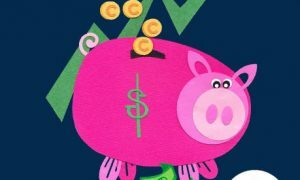 Typically, we earn about $500-$600 or so in cash back from our credit cards each year so the money earned back from their use far exceeds the costs of the cards – only one of them has an annual fee anyhow. Potential savings? Arguably nil given we don’t pay any bank fees, we have largely optimized our investments to reduce money management fees on the funds we own, we do what we can to self-insure, beyond term life insurance coverage and existing coverage provided at work. We’re far from perfect, and this post is reflective of that! It’s encouraging to know even though we’re doing a number of things right, there is more to realize when it to comes to a very healthy financial diet. Using the principles found in Cashflow Cookbook, I’ve calculated our future potential savings could be worth close to $250,000 if invested wisely over the next 20 years!! That’s a huge incentive to make some changes if we want to pursue them. Small financial changes, made consistently, saved diligently and invested very wisely over time will make a HUGE difference. What financial changes have you made in recent years? What changes are you considering to improve your family’s financial health? 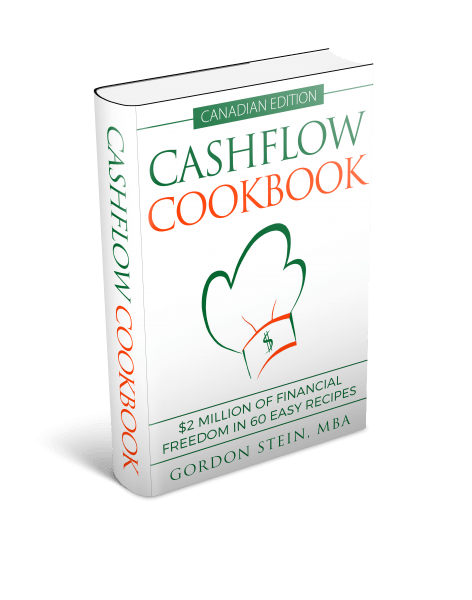 You can check out my review and interview with the author of Cashflow Cookbook here – including a 10% discount while quantities last! 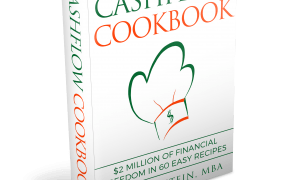 34 Responses to "Easy Cashflow Cookbook Recipes for Financial Wealth"
I’ve reduced our financial management costs to usually under $100/year. So far this year I think I’ve only made two billable trades (that I can recall off the top of my head), both purchases for the TFSAs in January. I use the TD e-series for parking orphaned cash and they incur no costs. I’ll likely cash some in into the new year to go along with the TFSA purchases but the ones in the RRSPs I’ll likely leave. I keep $2K in the chequing account to maintain a no fee status. Any cheques I write now I use the HELOC so I don’t even have to order cheques anymore (they’re darn expensive). I also cancelled the cell phone plan and went pre-paid. I put $100/year into the account and after three years I have a $222 credit and over 2000 texts left (I got the cell for emergency medical contact, never got into the habit of using it and that carries on). The only life insurance we have is through our pension plans, we don’t really need it and I should cancel but again I have a bad procrastination issue. We don’t have cable (not available anyways) and I can’t be bothered getting satellite as neither one of us watch much TV (actually none). Having said and done all that, I still have a bad habit of buying tools. The 20V DeWalt collection is growing. Like you, I keep the minimum balance to maintain a no fee status. You’re very lucky to have life insurance via your pension. Nothing for us on that front although I believe there is a move afoot to have some coverage or at least optional coverage post-retirement with ours. We’ll see what happens and what the administrators negotiate. For us retired folks, it’s will we have enough money until we “push up flowers”. But, it remains the same, where can we save a few bucks. Your list is very good…things that you are forced to consider when the money begins to flow the other way. If you’re fortunate (often because you were frugal when younger…re your list) you calculate those “luxury” items you can afford without jeopardizing the longevity of your savings. We’ve cancelled life and disability insurance. We stay fit, eat healthy and have found the Ontario health system to be excellent. Since then, I calculate we’ve saved about $10,000 on insurance. We canceled our home security monitoring. We cancelled our land line. We use a combo of VOIP and a cell “home phone” system. We use a cheap drip coffee system. Have 2 old vehicles. Rarely go out to eat. We do go to Mexico or some other warm climate for 3 months a year. We do have cheap cell phone plans, no data. We do have a TV package and netflix. We do use gas to see our grandkids in Toronto every other month. For us, it’s a good life! It’s sounds like you have a very balanced life Paul and you have your priorities straight. Kudos – not sure I can say anything else! We spend well under our means, so normally we did not pay too much attention to the cash flow. I begin to track expense this year, and my, I can’t believe we spent so much this year already. My excuse is that we just moved into a new home and lots of things we have done is only one time. For example, the new furnace, air conditioning, hot water on demand cost a fortune, but will make our life much more comfortable for more than ten years and also be friendly to the environment. So it’s well worth it. I consider ourselves already being frugal. We don’t have cable, we use pay as you go cells, we don’t buy fancy cloth and we don’t go dry cleaning, etc. I don’t see too much opportunities for us to go further, definitely not in the way to replace fresh fruits with frozen ones. My financial goal for next year is going back to live on one payroll. I can totally appreciate that May – re: time to make choices. I’m with you. With full time work, running the blog, having a social life, my personal time, etc. there is very little time leftover. I consider ourselves not frugal but financially mindful. We’ve made changes over the years, we’ll make more to cut back and our upcoming move after settled into the condo (say after year 1 or 2) should demonstrate that. We’re pretty frugal but have become more so in retirement when income took a dramatic reduction. Since retirement 54 mths ago I use a spreadsheet to track all our expenses each month, YTD, and annual totals w & w/o income tax. I also track the major discretionary category for us of travel to compare to total. We do pretty much all you have listed Mark with a few exceptions. Nothing too exciting. We also have cable- hard time cutting this and only saves $40/mth. Tried by making my own large antennae – about 2′ x 4′ but only 1 channel and not greatest reception in the back country! Total spending minus travel = $3068/mth avg. before tax since retired. Travel adds $1916/mth avg. I’m retiring end of this year and I’ve thought about spread sheeting my expenditures to see if I have enough and where I can adjust. I’ve never used a spreadsheet before. Would you care to share yours as a sample to get me going? To be clear I only track total outlay by the month- no categories etc. although my wife does track grocery cost out of habit. Just over $500/mth avg. considering the full periods we are home. So it doesn’t give you what you want. Takes 5 minutes/ mth to add up outlays that flow from one of 2 accts used to pay all bills, provide cash, which gives me my monthly total. Maybe you could find a friend familiar with excel to build something simple for you after you determine what categories you have/want. Some of the banks have this kind of info online to help their customers budget. Wow. I feel I need to save your post so after I retire I can see what I can do. For now I will just do whatever requires least effort. I feel right now with both of us working stressful jobs and two young kids, I sometimes would rather use money to buy time. It will change after I retire as I will have too much time then. I get that with working and operating a busy household with younger children. Time is something I generally have a lot of. Your “free” time will come! This is only a brief snapshot of what we do on the savings front. When time comes for you let us know and I can outline longer activities list! Very well done. I suspect my wife and I can live far more frugally when work obligations are out of the way; we’ll actually have the time to make better choices about the things we value. Thanks Mark. It looks to me like you’re doing excellent. Better than me when I was working and more in spending mode. We make a little game of saving some money somehow and find a deal out there, but are careful not to obsess over it. I definitely work the hardest at it with our travel to find some excellent value overall. I think if you have enough to basically enjoy life, have decent security and do much of what you want that’s good enough. Buying used clothes would bother me. Just go to Walmart and buy t-shirts for $5 each, socks for $2.00, underwear for $5 etc etc. Buying used clothes is crazy – if you are a Millionaire! To each their own Mike. Have dozens of Tshirts already from competiitve running. Socks and underwear used. Not likely. We’ve bought used for many years. My wife is particularly good at it. Many great compliments from her fashion conscious friends and I’ve had some too. LOL. A million ain’t what it used to be. I bought some used shirts from a recycle store in Winnipeg fro 2 bucks each. A) It helps the charitable organization that runs it. B) I needed some long sleeve shirts that could be discarded after a few wears. C) How much money a person has or does not have is irrelevant when it is a good idea. All of the above and especially C. We also donate or even return some items to be recycled again. I’ve purchased Tshirts and various products at discount stores before. Not because I have to but because I think it’s a good idea and good value. Really enjoyed this post for tips. Somewhat similar to yours but no cats here, no steaks, no Airbnb, no etfs. From other posts and cost saving measures you have posted, I cut my cable to $40, cut my hydro in half by really watching time of use rates, reduced spending overall, switched grocery stores, reduced money spent on clothes, bumped up tfsa to the max, put in a water dispenser at work instead of bottles. Just paying attention and not being wasteful. Making a big difference. Don’t have mortgage insurance, and in thirty years, have spent $30 total on bank fees by maintaining minimum balance. I do have rewards cards but for points mostly. Still things to improve on. That daily Tim’s coffee being one of them. A few home services I haven’t given up yet but getting there. Its good to see thinking like this. It’s also interesting to me to see how my thinking has evolved from accumulating to retirement spending mode. Now I don’t think of how much more it could compound, just how much more it could add to discretionary lifestyle spending experiences. Exactly where my head space is going over time. I’m looking for my money to buy lifestyle experiences and over time, buy some time to help others. That’s important to me (more and more) as I get older. But the problem is – “ITS NOT A GOOD IDEA”.. So lets get this straight – You buy used clothes to help a charity raise money? I just give MONEY to the charity and feel better not wearing other peoples clothes! Some of these comments from people that have millions is stupid. Why would you want to drive an old car and wear used clothes if you are a millionaire? It must be because you have been frugal way too long. 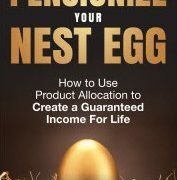 Listen: if you have made it – then you do not have to be frugal with everything. Where do u draw the line? Sell your nice home and buy a cheaper dump? Cutting back as much as some of you have done – is extreme! You spend $1K monthly towards travel but have an old car and used cloths – something sounds off to me. Maybe if Mark ever has a meet and greet – I will bring some new clothes for everyone – I just need to know your sizes. I have paid off my house and I have more than one million invested assets. I don’t know if I am qualified as a millionaire but we certainly drive old cars (mine is 9 years old and DH’s is 18 years old). I can see why people buying used clothes and I think that’s a good thing to do. You save money, you also save the environment. I do not buy used clothes but I did accept kids clothes from my friends and I did give my kids’ clothes to my friends when they were very young. For very young kids, it’s even worth more to do so as many clothes still brand new or only very lightly used. Same reason: we save money, we also save the environment. To each their own. Why can’t we just respect other people can have different views and values? Some people just value travels more and some people just value newer cars and new clothes more. Oh….just looking at comments now… yours is very well written May. As always. Out of respect for Mark and his readers I won’t rebut. Suffice to say I just consider the source. Mike, with all due respect – you are missing some the counterpoints. Why does Warren Buffet live in the same house as he has done for decades? Drive the same old car? Why not waste money at will? Because it’s not a good idea even though he can. Just because “you can” in life doesn’t mean “you should”. As for the meet and greet – maybe a good idea eventually. A DIY/MOA meet-up. As long as we respect each others’ views – I am good! I can’t speak for others but I can say it doesn’t matter to me how you spend money on your own clothes or cars, homes etc. or what judgements you want to make on mine. I’m not sure why you insist on knowing what’s best for others you don’t know. But I’ll give you benefit of the doubt that you believe you’re helping us poor lost souls with our lives and investing…LOL; but FYI in case its not evident, I’m good with where I am in my life, and I definitely have zero need or interest in your charity. Huh? Thanks for the laugh. So these answers explain it all. You don’t have enough money! You must have enough money! I am wondering how come you don’t fly to your private island on your private jet for your vacation?